Claudio Calmens was born in Bahía Blanca, Argentina, on 15 December 1962, Calmens is a tertiary-level teacher of guitar after graduation from the Gilardo Gilardi Provincial Conservatory and is also an attorney at law through his degree from the National University at La Plata. He is presently devoting himself full time to the creation, teaching, and performance of music. Though a former student of classical guitar under professor Raquel Barragán and the Maestro Jorge Martínez Zárate. He is currently emphasizing performance of the contemporary repertory on the classical, electric and midi guitars. In this role as an interpreter of vanguardist works, he frequently includes in his presentation pieces within the musical-theater idiom or performs as part of chamber group. 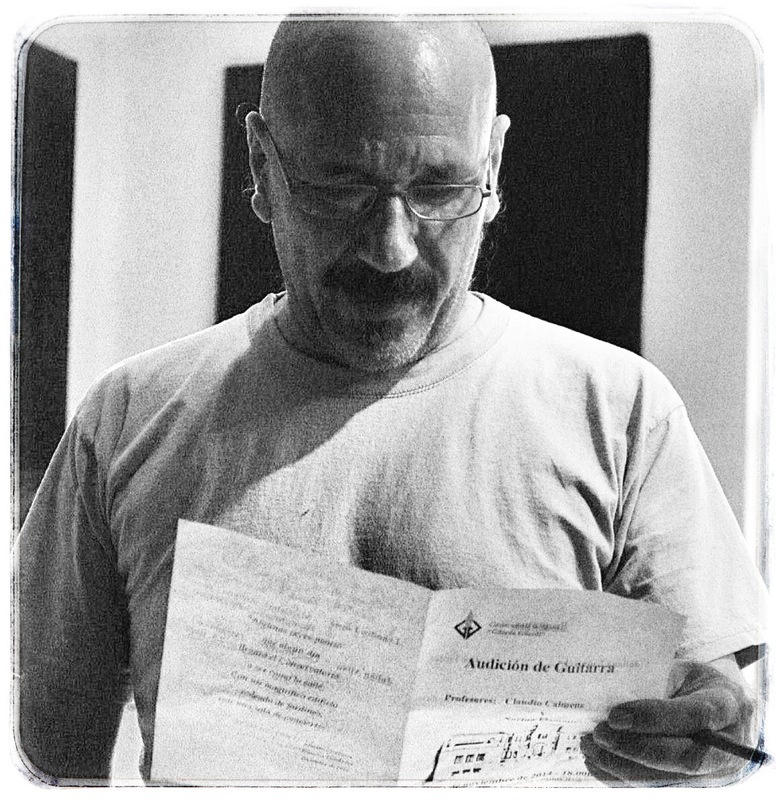 He has participated in concerts on numerous occasions in halls such as the Centro Cultural San Martín, Centro Cultural Recoleta, Asociación Pestalozzi, Radio Municipal (e.g., Programa Electromúsica, of Ricardo Dal Farra [April, 1998]). Since 1992 he has furthermore studied in depth contemporary compositional techniques with the aid of electronic media and has benefitted greatly from his association with Donald Haggerty and Graciela Peralta López as theatrical consultant. The Argentine artist Susana Palomeque, under the inspiration of Calmens's music, has produced original canvasses on related themes.